For those who normally read En Route, one of the cuisines rarely featured by this time of posting would be of the Korean kind. The closest thing ever to it would be a report on the invasion of Bon Chon of Manila and an effort to replicate it with a recipe for Korean fried chicken. 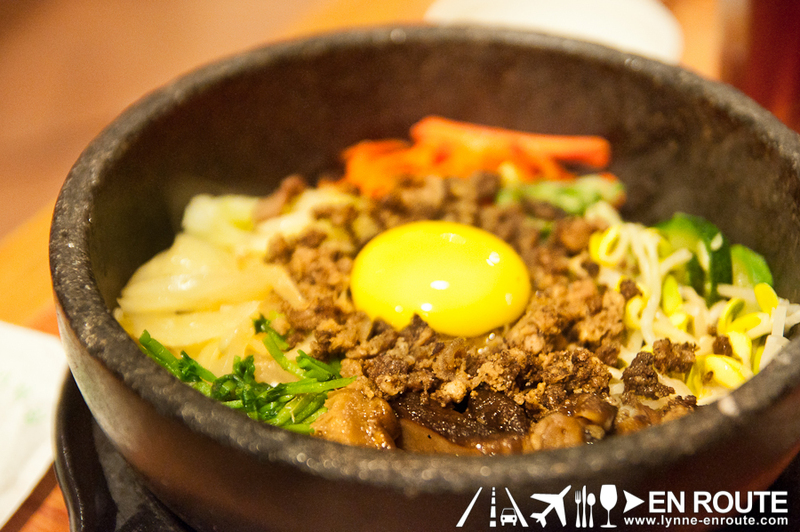 And so one night, with a friend who craves for Korean food after her numerous trips to Seoul that resulted to an obsession for Dak Galbi, it was decided that she would be the best source to know one of the best Korean restaurants in Metro Manila. 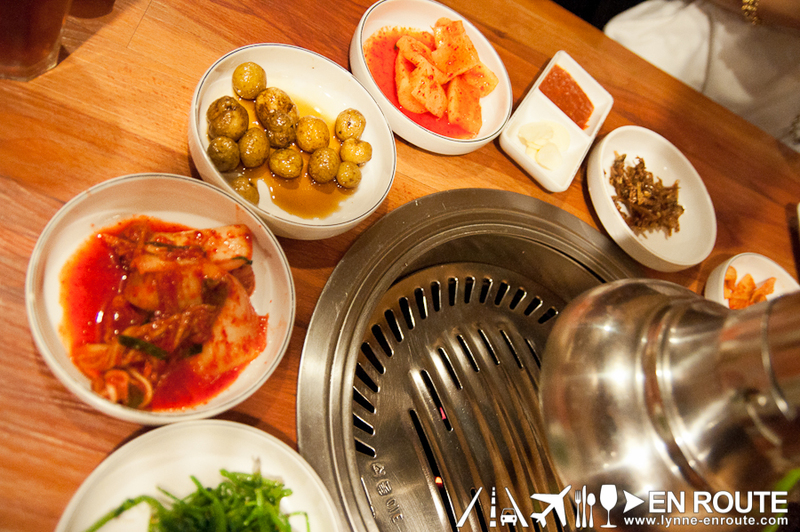 It was unfortunate that the popular Korean chain Yoogane Dak Galbi was far off in the Tomas Morato area, but that led to the visit into one of the hidden Korean gems in the Ortigas area: Ye Dang Korean Barbecue. 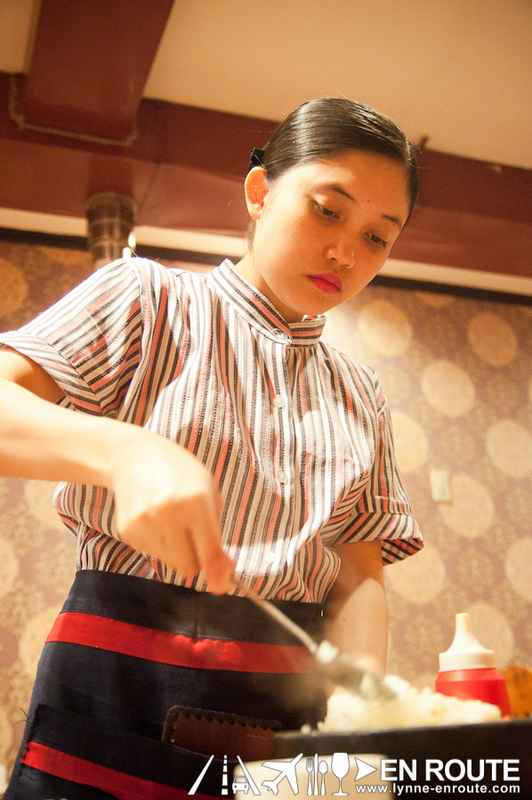 Ye Dang has actually sprouted up in some reviews of foodies and some chefs that maintain blogs in Manila. Generally positive reviews, even getting recognition from Philippine Tatler’s Philippine Dining Guide and from Manila’s Best Kept Secrets list. Just minor complaints about smelling like a smoked pork rib after a hearty meal. Which is quite unusual since upon entering the place, the very first thing that will grab your attention would be those air vents that stretch out like some strange alien medical equipment. 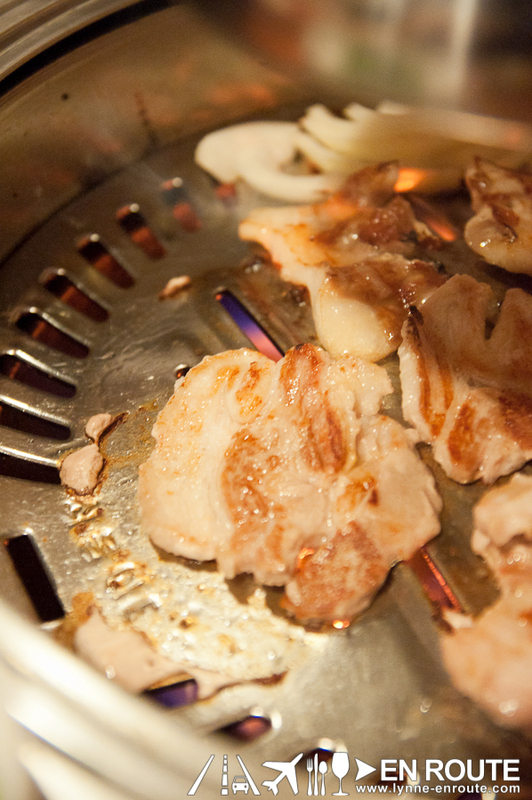 Those grills actually are very reminiscent of Tajimaya Yakiniku. 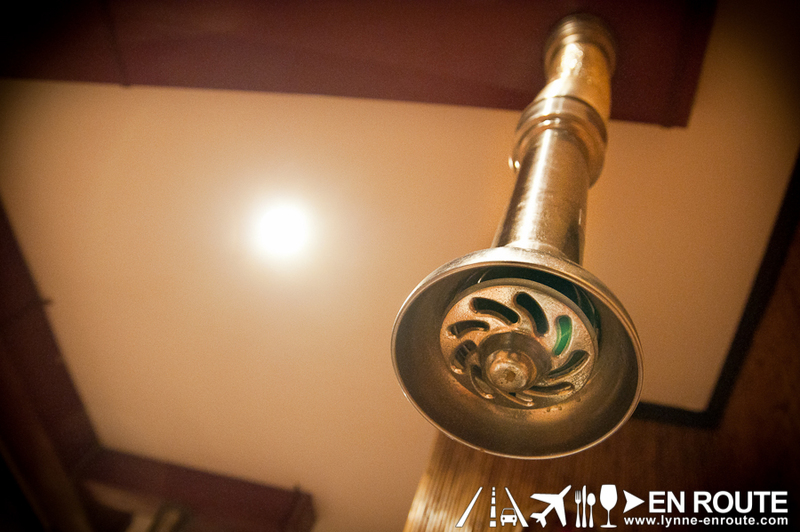 Here’s a shot from a point of view of a fictional would-be patient looking up into the ceiling. Use these vents well for Ye Dang’s grilled fares. These are arguably the star of your meals here, and it would be a shame if all you would get would be rice bowls or mixed vegetables. 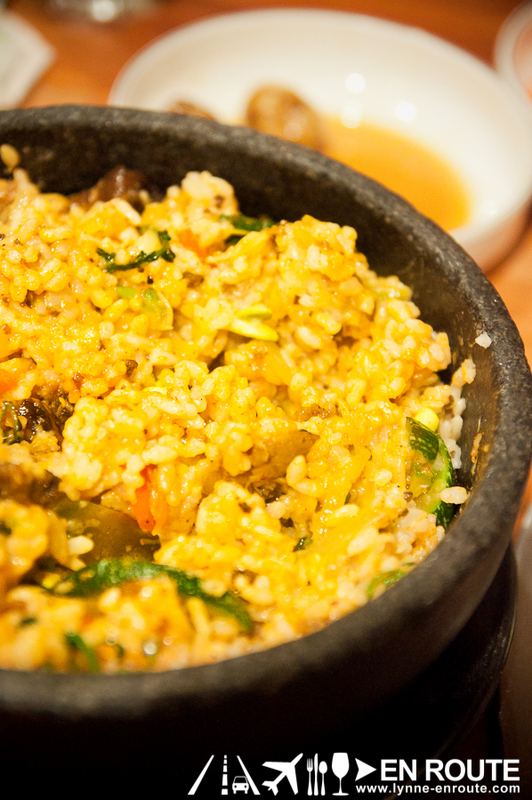 Speaking of rice in a bowl, order some Bibimbap (PHP 280.00 ) and an extra side of rice. Ask the staff to mix it in for you with a bit of spice in it. This would complement your grilled meat very well. Other things that would complement it would will be the array of appetizers that come with the meal. Judging from the volume, even these alone would be enough to fill up two persons. Those baby potatoes in a sweet soy glaze and fish cakes are winners. 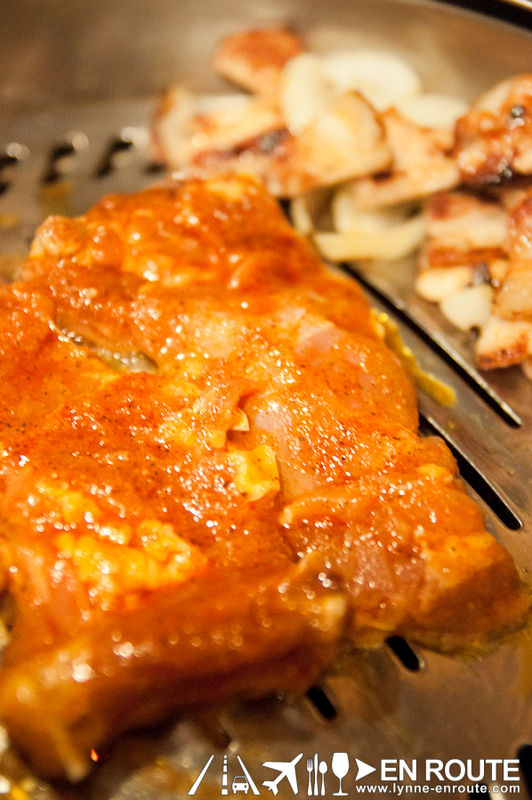 The pork cutlets (PHP 250.00) are plain, unseasoned pork, meant to be flavored with the accompanying cloves of garlic. 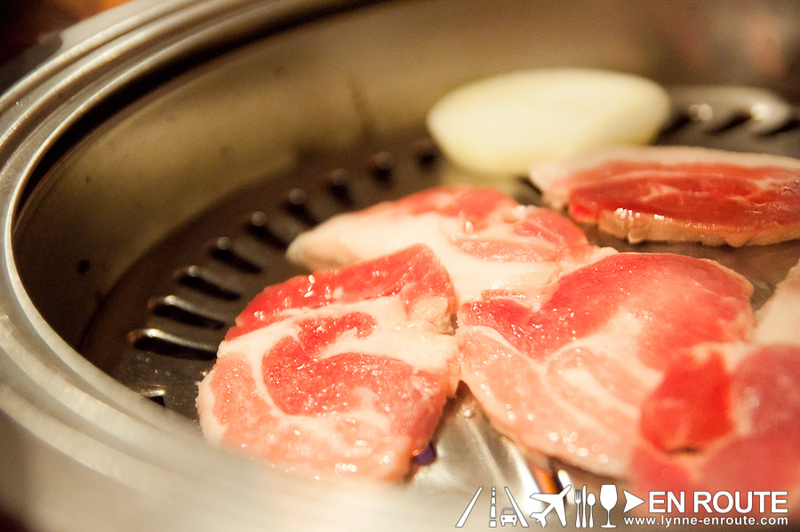 Eat the garlic with it, or you can cook the garlic just right beside the pork so that the strong taste is more manageable. Unfortunately for our friend, no Dak Galbi here, but their Grilled Chicken (PHP 300.00) is a good alternative, with great taste and tender pieces, complemented with some white onion. 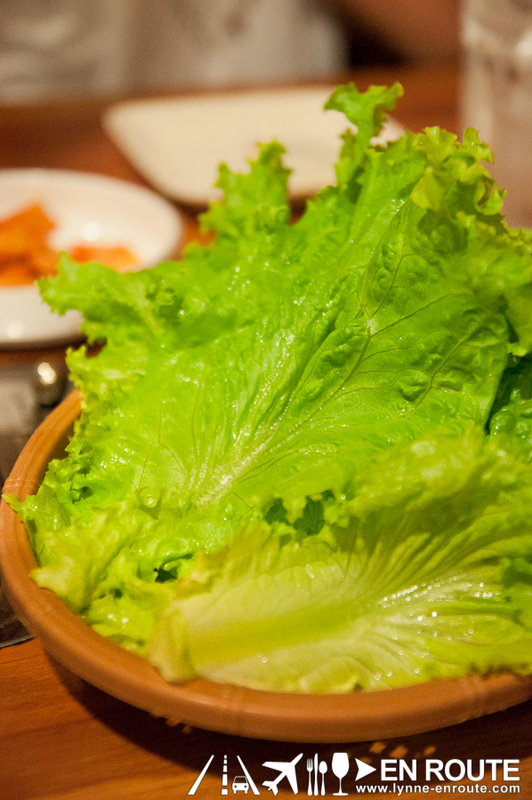 Wrap these grilled tasty bits in the lettuce that come with the meal. 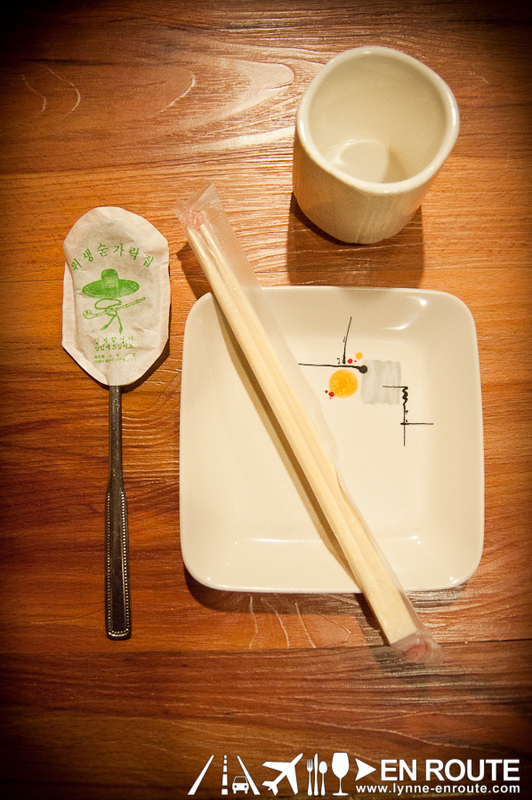 Oh, and that Bibimbap? 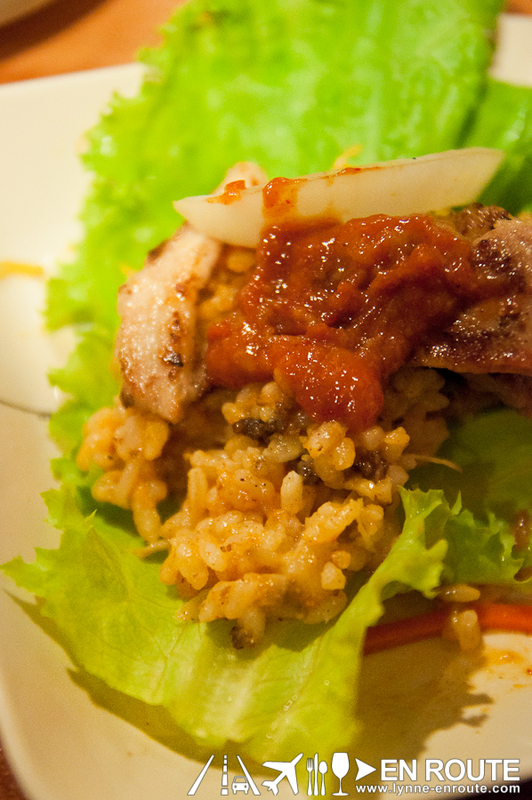 Add it in with your meat into that lettuce wrap and slather a little bit of chili spice. The spice that kicks in and then slowly neutralized by the lettuce creates this building desire to eat even more until it becomes something similar to an addiction. Is it messy? Yes. Is this the right way to eat it? Who knows? Does it leave a smile in your face? Absolutlely. 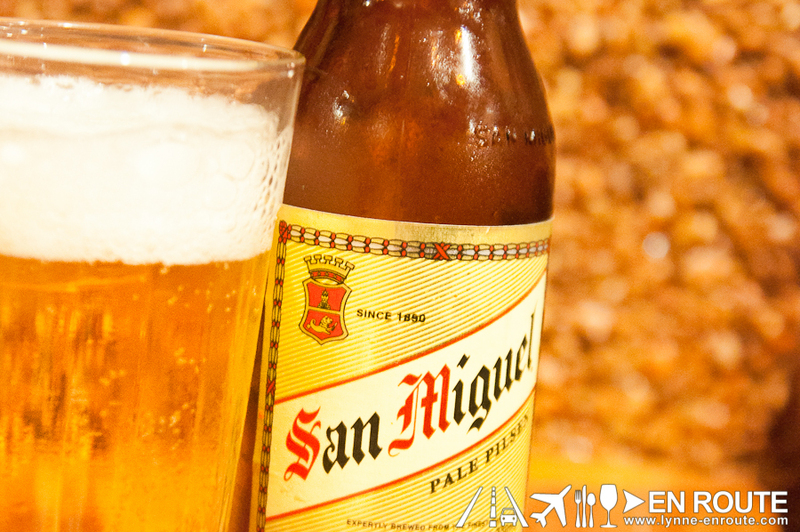 What more if this was downed with a cold, crisp glass of beer. That friend’s addiction is starting to become more understandable with every bite and swig. The value for money of this restaurant is amazing, that some might question why would some new Korean restaurants even charge more, when you can even just go here and get the same thing for less the price. And since most of the patrons here are Koreans as well, it is safe to say that Ye Dang gives a respectable taste of home for these fellows. Oh, and about smelling like smoked meat coming out? Yeah you do. But who cares? Apparently, for those that have come, and gone, and returned here for such tasty meals, it is but a concern so miniscule that you will forget the moment that first slab of tasty meat sizzles in front of you. 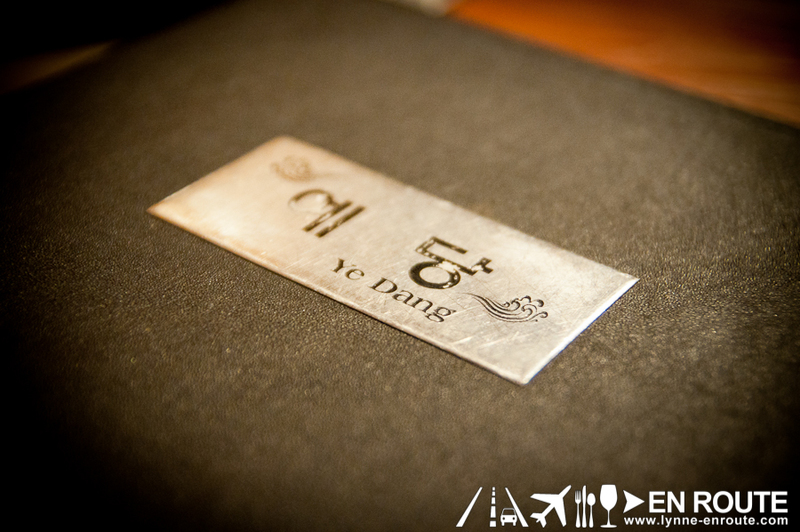 Ye Dang remains one of Manila’s hidden Korean gems tucked out by the bustling flyovers of the Ortigas area. 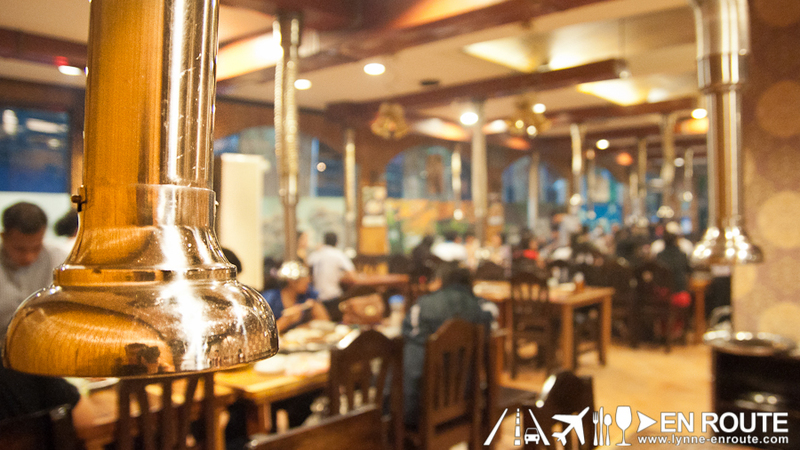 But make your way into it and you will get a slight glimpse of some great Korean fare this side of the metro. Oh, and you can get over the scent that leaves along with you once you exit the place. 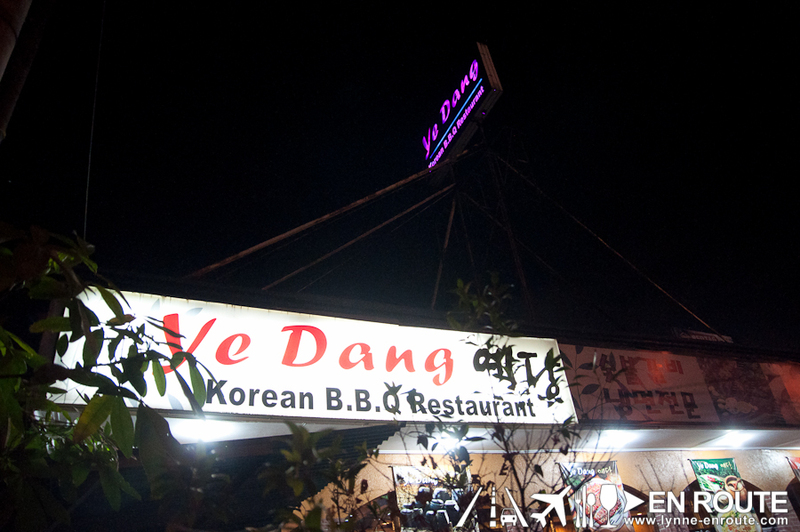 Ye Dang is located at 88 Meralco Ave., Ortigas Center, Pasig City, Philippines. It is located in the service road of the Meralco Avenue / Julia Vargas Flyover, headed towards Ortigas Avenue. I’ve been wanting to try this place for years! Super near my office.hehehe.